With almost every store and every retail sector having a loyalty points scheme it’s not surprising that petrol companies are getting in on it too. Many petrol firms now offer loyalty schemes whereby the customer gets rewards for using that petrol. One of the best things about the schemes of course is all drivers need to get petrol so the customer is basically being rewarded for buying something they would have to buy regardless of whether or not there is a scheme in place. Although petrol is a must-have there are enough firms out there to provide stiff competition. Therefore each of those firms knows they must do something to guarantee customer loyalty – and that is where petrol loyalty cards come into it. How Do Petrol Loyalty Schemes Work? The petrol loyalty schemes work pretty much in the same way as most other loyalty card schemes. Every time the consumer buys petrol he or she will receive points. The consumer is given a loyalty card which is swiped each time they make a transaction and the points are stored on this card. What Do I Get For My Points? When you have collected enough points you can exchange them for rewards which can include free petrol, store vouchers and even airmiles, depending on which firm you are with. Some companies also offer charity schemes whereby the points are donated to local or national charities and they use the rewards. Some petrol firms offer websites whereby you can key in your membership number and discover how many points you have and what gifts you can trade them in for. This means the customer is always aware of how many points they have collected and what they can do with them. Do All Petrol Companies Offer Loyalty & Reward Schemes? 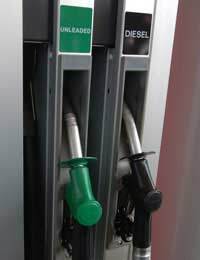 Not all petrol companies are involve in these schemes but those that are have found them to be a huge hit with customers so it is likely other will follow in their footsteps. Once this happens consumers can expect even better schemes and better rewards as competition heats up and everyone tries to offer the best and most cost efficient schemes to their customers. Petrol loyalty schemes are not as popular as store loyalty schemes yet but they are a growing sector and have tapped into a market that has a huge customer fan base. While some store cards rely on customers buying luxury items that they do not actually need petrol loyalty schemes offer rewards for purchasing something drivers – a large proportion of society – cannot do without. The only possible issue surrounding the cards is that of the environment. As ‘being green’ becomes the new cause to fight for how long will it be before offering rewards for buying petrol – i.e. driving and polluting the environment and damaging the ozone layer – is looked upon as a negative gesture? Until then though it likely that more and more petrol loyalty cards will come into fruition over the next few months and years.